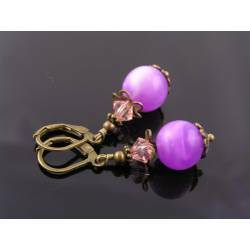 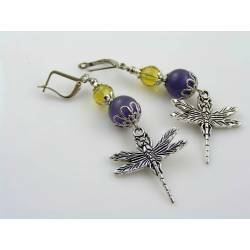 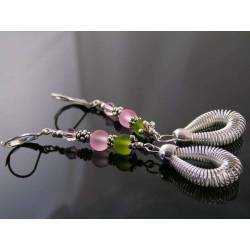 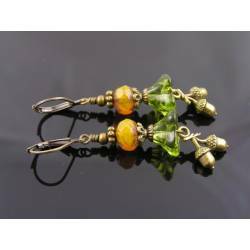 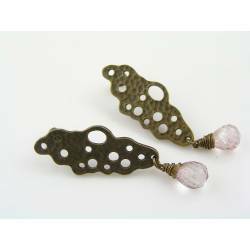 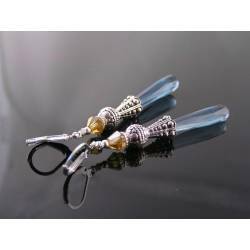 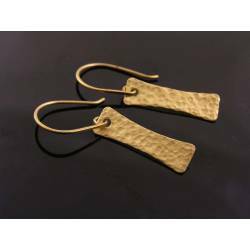 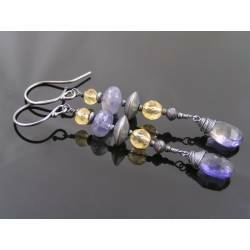 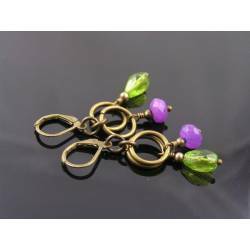 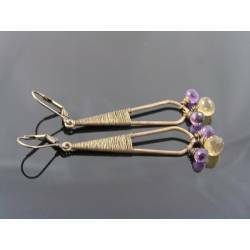 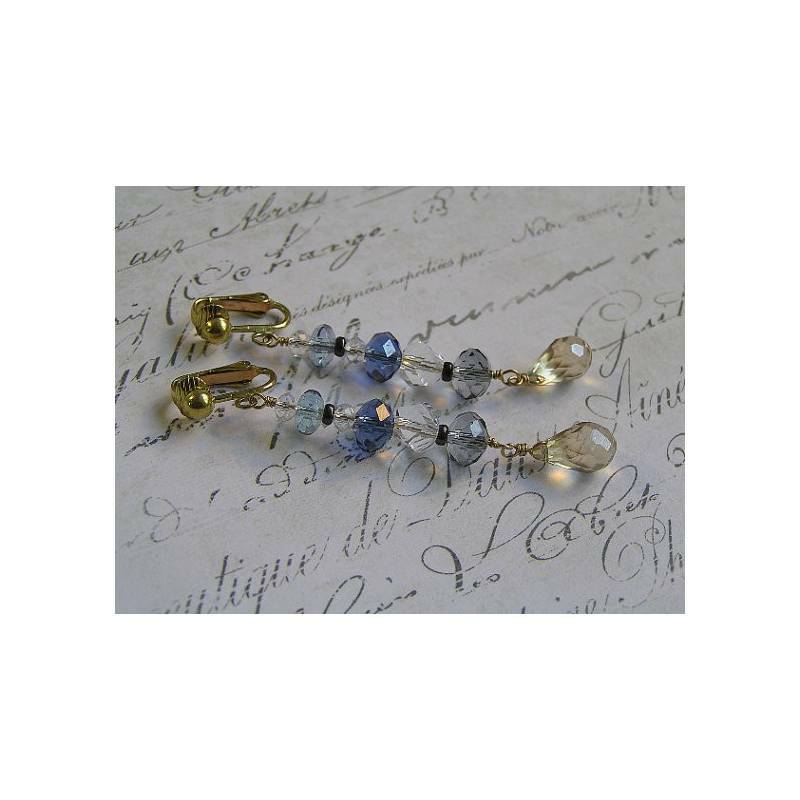 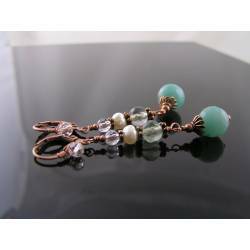 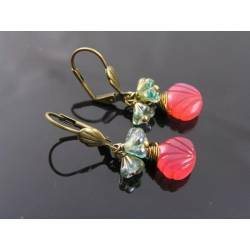 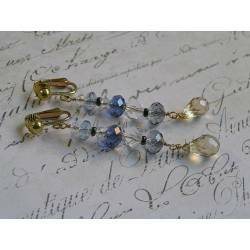 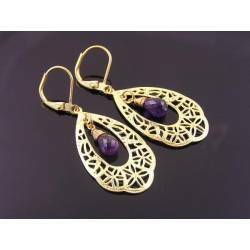 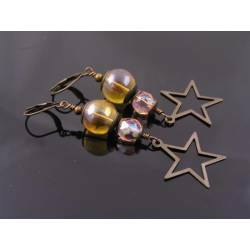 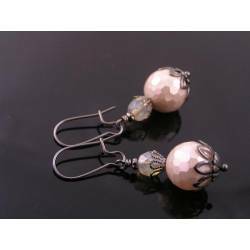 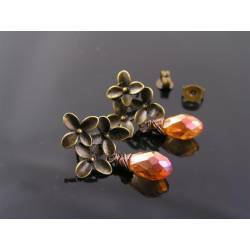 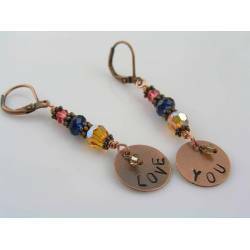 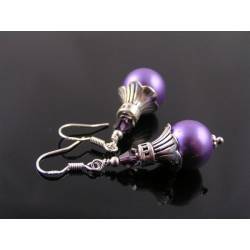 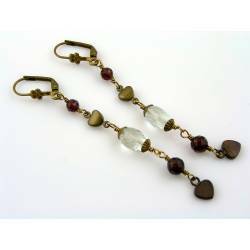 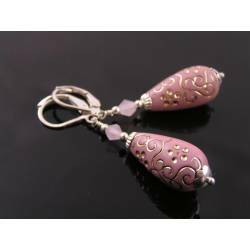 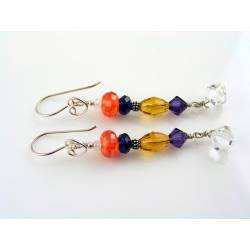 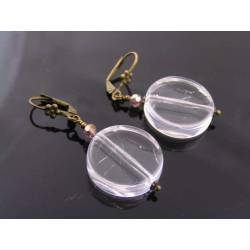 I have fitted these earrings with solid brass clip fittings, but I can easily swap them onto lever back ear wires or French style ear hooks. 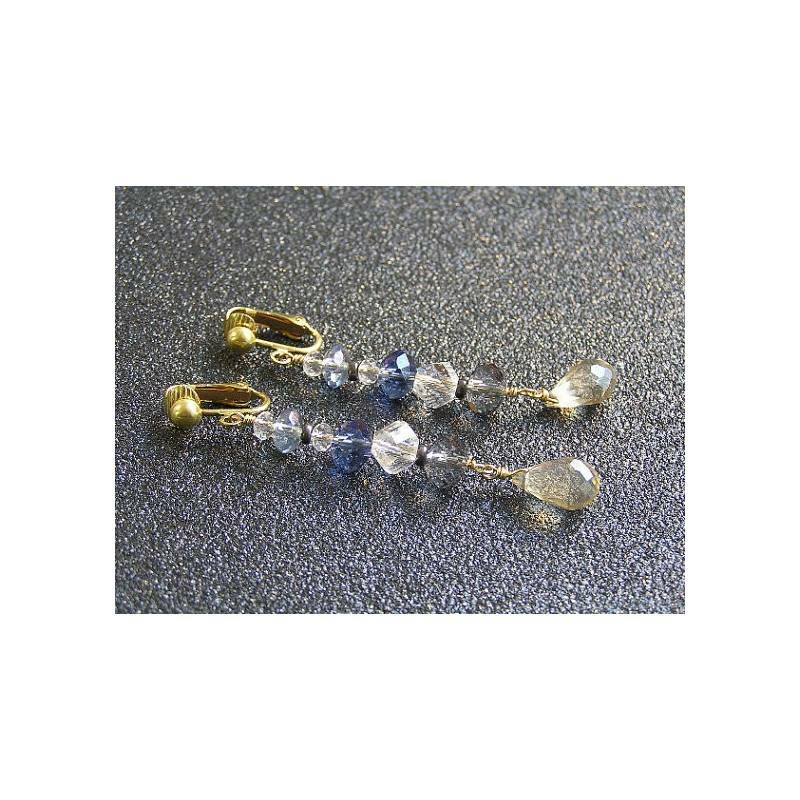 Lined up is a procession of sparkling, faceted crystal beads in clear and different shades of blue. 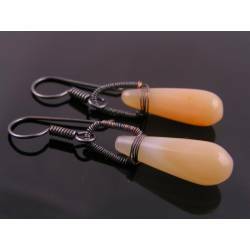 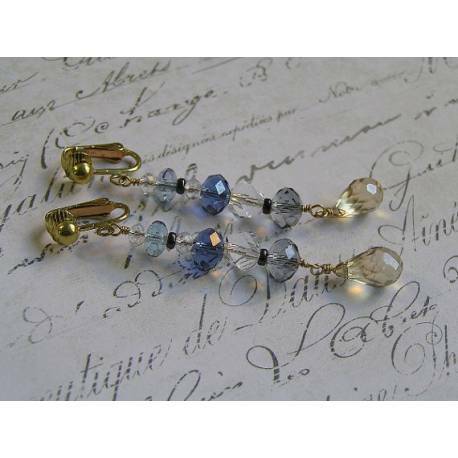 Dangling at the bottom is a champagne coloured tear drop, showing extra sparkle due to the aurora borealis finish. 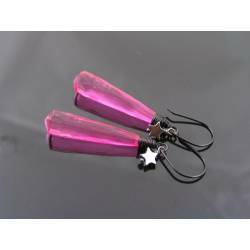 Total length of these sparklers is 7cm. 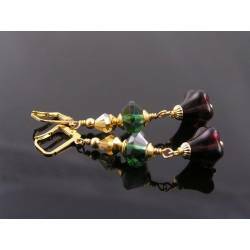 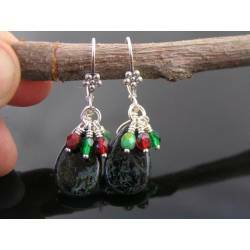 All metal is solid brass, the little rondelles between the crystals are oxidized to a shiny black.